Al Baleed Resort Salalah by Anantara is helping guests kick-start their early summer bodies with a new wellness programme featuring a unique ‘a la carte’ concept. Ardhah means ‘to perform’ in Arabic and the horse and camel Ardhah is a spectacular performance that often takes place during religious and national celebrations. Radisson Hotel Group has revealed two new hotel signings in Oman; Radisson Hotel Apartments, Muscat Hills, and Park Inn by Radisson Hotel Apartments, Salalah. With the new terminal at Muscat International Airport new operational, Dagmo Ahmed Jama, aviation marketing manager for Oman Airports, tells Breaking Travel News what impact the facility will have on the tourism sector in the country. With World Travel Awards also preparing to host its Grand Final in Oman next year, we find out more about the prestigious event. Al Bustan Palace, a Ritz-Carlton Hotel, has reopened following a period of extensive enhancements that includes redesigned rooms and suites, refreshed Ritz Kids experiences, and new culinary options. Visitor numbers to the Middle Eastern tourism hotspot of Oman grew by almost five per cent in 2017, according to recent figures published by the ministry of tourism. Mandarin Oriental Hotel Group has announced that it will manage a new resort and branded residences in Muscat, Oman, which is expected to open in 2021. A new terminal at Muscat International Airport has seen the location recognised as the Middle East’s Leading New Tourism Development Project by the World Travel Awards. 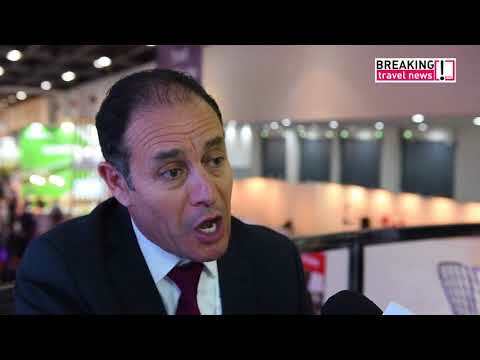 Here Nagy Abu Zeid, senior manager of strategic planning at the airport, tells Breaking Travel News what the honour means to the team. Mehdi Othmani, general manager at the Hilton Salalah Resort in Oman, talks to Breaking Travel News about the importance of sustainability in the hospitality sector. Having been recognised with Green Globe certification, he tells us responsible tourism is vital for the future of the industry. Having become the first Hilton property to receive Green Globe accreditation in the Middle East, Mehdi Othmani, general manager at the Hilton Salalah Resort, tells Breaking Travel News about the importance of sustainability in the hospitality industry. Tourism arrivals to Oman will increase at a compound annual growth rate of 13 per cent between 2018 and 2021, according to data released ahead of Arabian Travel Market 2018. Commissioned by ATM, the Colliers International data predicts the rise will be fuelled by visitors from across the GCC, who accounted for 48 per cent of guests in 2017. Qatar Airways will add two additional daily frequencies to Muscat, Oman’s largest city and capital, commencing April 10th and June 15th.